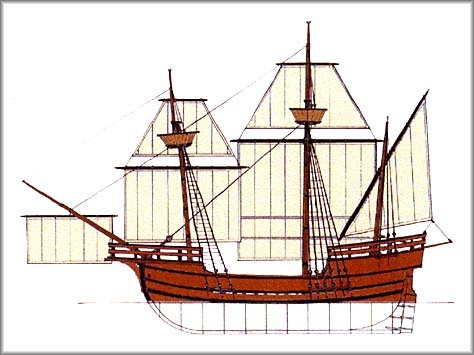 n Frobisher's 1578 fleet, there were fifteen ships of varying carrying capacity: The Aid (200 tons), Thomas Allen (160 tons), Hopewell (150 tons), Anne Frances (130 tons), Francis of Fowey (130 tons), Thomas of Ipswich (130 tons), Salomon of Weymouth (120 tons), Armonell of Exmouth (100 tons), Beare Leicester (100 tons), Barke Dennis (100 tons), Emanuel of Bridgwater (100 tons), Mone of Fowey (100 tons), Judith (100 tons), Michael (30 tons) and Gabriel (30 tons). (left to right) Francis of Fowey, Thomas Allen, Judith, Mone of Fowey, Beare Leicester, Armonel, Aid, Michael, Barke Dennis, Salomon of Weymouth, Emanuel of Bridgwater, Thomas of Ipswich, Hopewell, Anne Frances, and Gabriel. In 1577, the English government conducted a survey (incomplete) of merchant shipping. Of the 791 ships surveyed, only 131 were capable of transporting 100 tons or more. This suggests that about ten per cent of England's larger vessels were part of Frobisher's 1578 voyage. Privately owned ships of 100 tons or more could be forced into royal service as warships or, in the case of this voyage, to transport cargo. 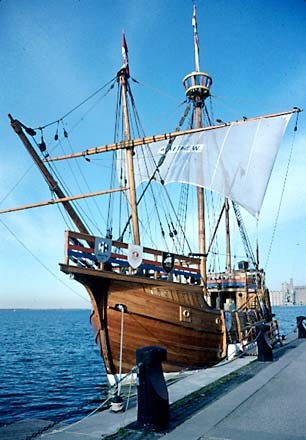 With the exception of the Aid, which was a royal warship and therefore heavily armed, Frobisher's 1578 ships were typical of Elizabethan England. All were probably skeleton-built. First used in England in the 1400s, this method was, by the 1500s, the most popular in northern Europe and most likely in England as well. In skeleton construction, the frame or skeleton was built first and covered with evenly-laid planking, giving the exterior a smooth appearance. Large numbers of wooden nails probably were used to hold the planking in position. Again with the exception of the Aid, the outward appearance of the ships is unknown. 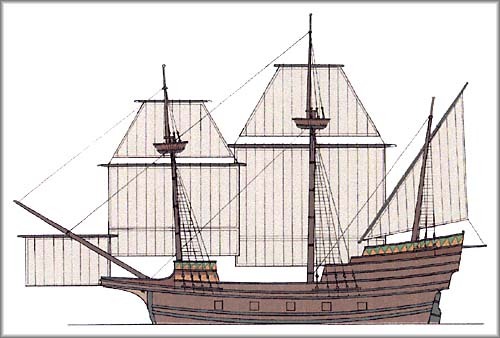 The Aid is pictured on a map of Smerwick Bay (1580), giving some indication of the structure of the ship, including the deck levels and superstructure. 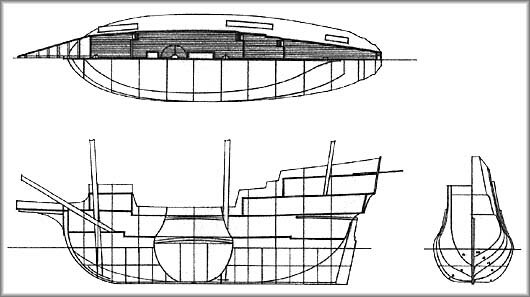 Shown in profile and facing to the left, the Aid has five gunports above a line of strengthening planking; this likely marks the gundeck. 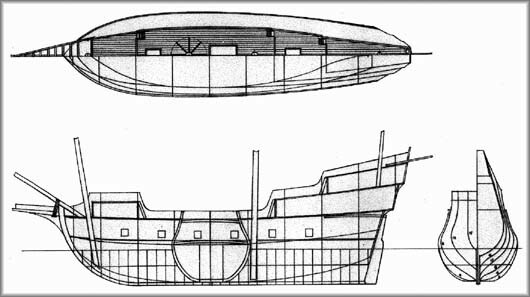 Two small portholes on the flat stern of the ship may indicate a lower section of the deck. There is possibly a weather deck above the guns. At the front of the ship, there is only one level above the weather deck; at the back, there are two. 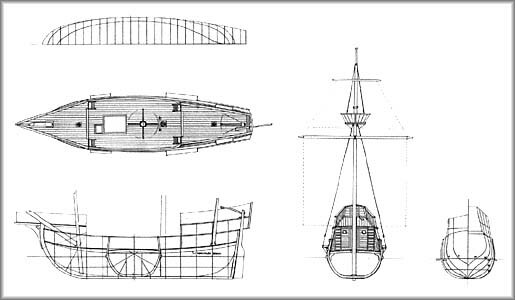 Most of Frobisher's ships probably had superstructures, which served as fighting platforms and to accommodate cabins. 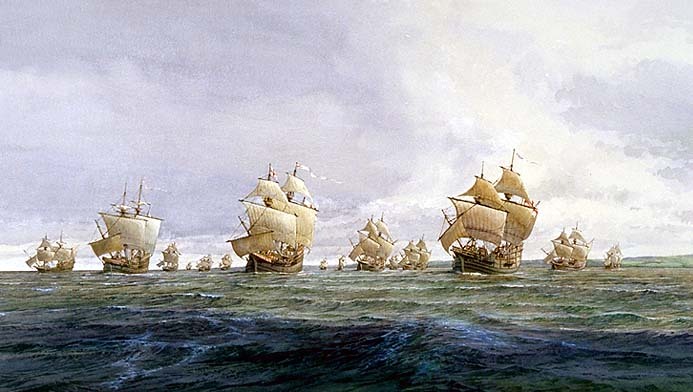 The sizes of the ships are unknown, apart from that of the Aid, whose keel length was 22 m (73 feet) and the width of its beam almost 7 m (22 feet). This would make it a little larger than Cabot's Matthew, of which a replica was recently reconstructed and sailed across the Atlantic. It is unclear how Frobisher's ships were steered. All would have had stern rudders, but it is not known by what means the rudders were controlled. Sails also would have helped to steer the ship. All of the ships likely had cooking facilities on board. In royal warships of the period, the kitchen was normally in the hold and had a tiled hearth or sometimes an oven; smoke travelled up to the deck through a chimney. On other ships, cooking may have been done in a room in the superstructure. 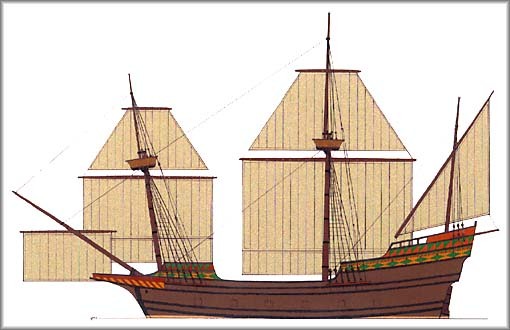 It is known that the Aid, Judith, Gabriel and Michael each had a foremast and mainmast as well as fore topmast and main topmast rigged with square sails. Each also had a mizzenmast with one triangular lateen sail. The Aid may have had two lateen sails. 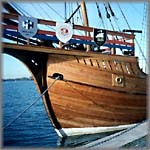 In addition, these ships had a square spritsail below the bowsprit. 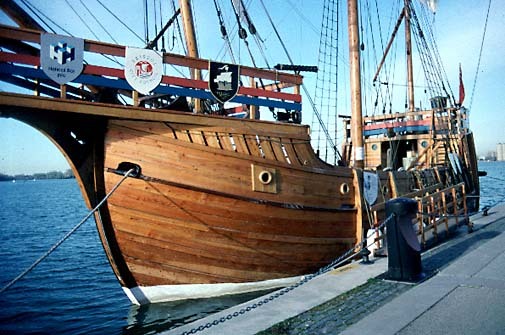 In use since the fifteenth century, this ship design was common in northern Europe. Masts could be either pole masts from a single tree or "made" masts from different pieces of timber. "Made" masts resulted from the difficulty in finding trees that were tall and straight enough for large masts. Sails were made of canvas, most of it imported. 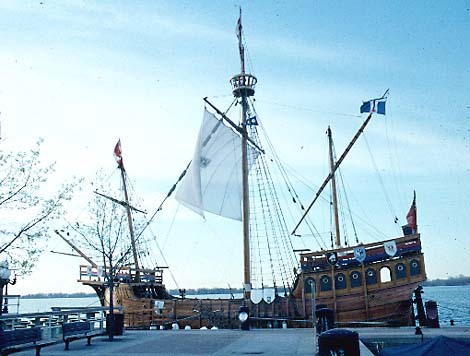 Several pinnaces and other small boats were acquired for the voyage. These were important for coastal exploration and for shipping men, equipment, supplies, and ore between ship and shore. 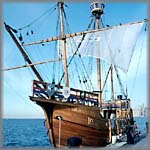 The ship's boat of the Aid had a mast and windlass. 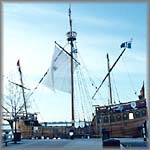 None of the ships from the 1578 voyage had a special design or carried special equipment to deal with the rough and dangerous Arctic waters.